The VA Home Loan Program makes the dream of owning your own home significantly easier to achieve for millions of veterans of our four branches of the military Armed Forces, but this program is not without its restrictions in VA loan limits, down payment restrictions, and eligibility requirements. The amount of money that banking institutions generally request for a down payment can sometimes be provided by this government program in the form of a VA Loan Guaranty. Recent changes to the program have made it increasingly possible for veterans to acquire personal home mortgages with absolutely zero money down for a wider range of selections of homes. The VA Loan Program was meant to provide assistance to our American soldiers who had gone off to war, fighting for our country for several years, without the ability to establish a professional reputation in some type of employment. This allowed for our veterans to immediately land on American soil, begin their life fresh, and purchase a new home immediately upon arriving back from war. There were, however, certain types of VA Loan Limits that were set into place. These financial limitations reduced the potential risk that millions of veterans might come home from war and begin purchasing multimillion dollar properties that they might not be able to afford. Although the United States government was willing to underwrite the mortgages of these cherished veterans, the limitations in both the total loan amount and of the VA Loan Guaranty safeguarded the program from being abused, either mistakenly or intentionally by either the banking institutions or the returning soldiers. Even though the United States government was guaranteeing the loan of each individual veteran, the banks also wanted to have a certain amount of safety and security that their money would indeed be returned and that the loan would be repaid. This is why they asked for a down payment, typically around 20% of the original purchase price of the residence. This is a lot of money, whether you are a veteran in the year 2014 or if you are a veteran back in 1940s post World War II. Soldiers coming home from war simply did not have the 20% down payment required. The VA Loan Guaranty was put into place to provide this money up front to the banks on behalf of the veteran. 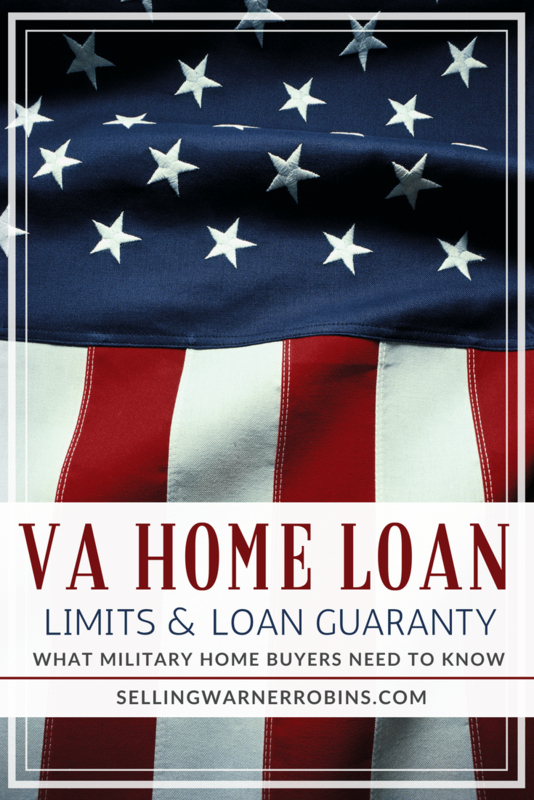 The total amount of the Guaranty would not exceed 25% of the purchase price with VA Loan Limits on the remaining balance that could not exceed $417,000. Adding both layers of the loan entitlement ($36,000 and $68,250) and multiplying by 4 ($104,250 x 4) brought the $417,000 ceiling that military borrowers could obtain without having to put any money down. That was not realistic in more expensive markets, and changes needed to be made. The Veterans Administration announced last year that the maximum mortgages of veteran home purchases would be significantly raised in several of the larger markets throughout the country, and they did not disappoint as many markets saw significant jumps. This also indirectly increased the abilities of veterans to also achieve a “no money down” loan on a greater portion of available homes for sale. If the overall prices increase, then the VA Loan Guaranty increases as well. The increase in the VA Loan Limits has made it even easier for our veterans too afford the home of their dreams once again. Here are the latest VA loan limits and the VA loan guarantee. Keep in mind that many areas did not see an increase in their VA loan limits and their “no money down” limit remains $417,000. 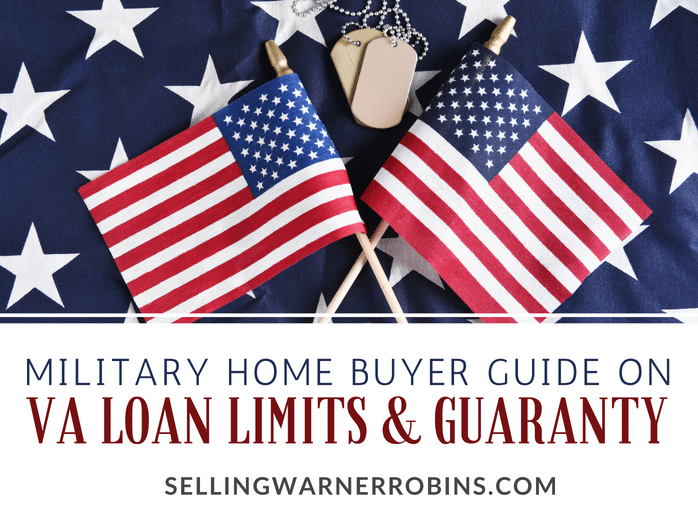 While there remains limits on the VA loan guarantee, and how much you can borrow before a down payment is required, there are technically no VA loan limits on the maximum amount you can borrow. If the lender is willing to provide a higher mortgage, you can borrow that amount. Happy house hunting! If you found this information on VA loan limits and VA loan guaranty helpful, please consider sharing the information so more VA eligible consumers can find the information.